“Why is that important? Some people even say sampling is dead.” WRONG: 1 in 5 songs in the Billboard Top 100 of 2018 include samples. As a matter of fact, there are almost twice as many samples now compared to a decade ago. This State of Sampling feature has been built around actual numbers to give insights into how much producers sample. Looking back on 2018, 20% of the top 100 tracks contained samples. It’s been fairly consistent the last few years: usually between 20-25%. Looking back 10 years, the number was 14%. The increasing popularity of Hip-Hop has probably also had an impact on the number of samples. In 2018, Hip-Hop surpassed Rock to become the most popular music genre in the U.S.
A total of 28 samples were found in the Billboard Top 100 Songs of 2018. Songs like Cardi B’s “I Like it” and Drake’s “In My Feelings” and “Nice for What” included several samples, which is why the number turns out to be a bit higher than the grand total of 20%. Looking back 10 years, on the End of Year chart of 2008, it only included roughly half as many samples: 15. The Top 100 song containing the most samples was Drake’s “In My Feelings,” with four separate licensed samples – all vocals. Looking by genre, we can see that sampling is most common in rap music. No surprise there, as sampling has always been an integral part of Hip-Hop productions. 38% of last year’s biggest Hip-Hop songs contained samples. R&B is the runner-up with roughly half as many samples (20%) as rap music. But even in the genre least known for sampling, Rock, samples are used; 8% of last year’s biggest Rock songs contained samples. For example, Panic! At the Disco sampled James Brown and Death Cab for Cutie sampled Yoko Ono in 2018 releases. A majority of the top 50 albums last year contained samples. A total of 204 samples appeared on those albums, making it four samples per album on average. Drake’s album Scorpion was the album containing the most samples (21) in Billboards Top 100 Albums for 2018. That’s the same amount of samples as the Billboard’s top 50 for Pop, Dance/Electro and Latin contain combined. That’s 13 Drake-songs versus 150 top-hits! As early as the ’30s and as late as the 2010s: each decade differs from each other in terms of style and samples. Which era is most-loved by producers? And where do they get their samples from in an ever-changing industry where you don’t need an original vinyl record anymore to find a sample? By looking at the songs a handful of top producers sampled in the last three years, it becomes clear that their birth year affects what songs they choose to sample. It obviously differs from song to song, but on average, we can see that the release year for the songs a producer samples tend to be around when they were between the age of 5 and 10. No songs sampled the ’70s. A common belief is that music from the ’70s is the best suited to sample. 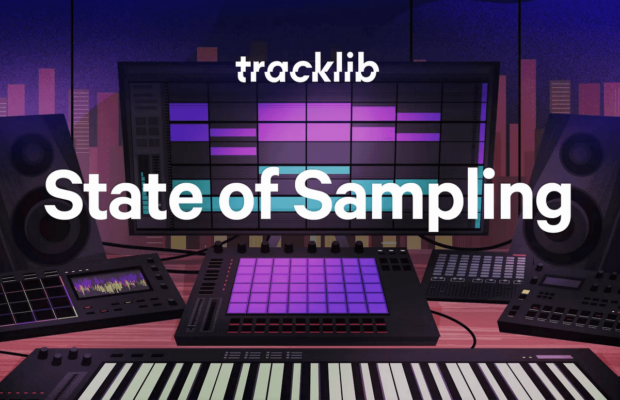 In a survey, Tracklib’s users also said they prefer to sample ’70s music to other decades. Because of this, it’s a little surprising that not even one song on the Billboard Top 100 last year sampled ’70s music. It’s of course still very popular, but the most common decade to sample right now is actually the 2010s. Hip-hop is not only the biggest genre on the charts, it’s also by far the most common genre to sample, with around 50% of all samples coming from Hip-Hop. Sampling online video (YouTube, Instagram, etc.) is also becoming increasingly more popular. The reason we do this State of Sampling now, is also to be able to take a step back and reflect on 2018 as a whole. What were some of the key trends, and which developments influenced artists the most? It’s time to reflect on trends together with one of the world’s most renowned sample experts. Deborah Mannis-Gardner is one of the world’s most renowned sample clearance experts. Last year her team cleared over 1,500 samples. She’s worked with artists like Eminem, Kendrick Lamar, Jay-Z, Drake, Kanye West, Lil Wayne and Lady Gaga, to name a few. We asked her if she saw any sample trends during 2018. The world of sampling can be tricky to navigate sometimes. Even some of the biggest artists had some bumps in the road last year. These are some of the biggest stories around sampling that made the news in 2018. In a series of now-deleted tweets, Nicki Minaj desperately tried to get in touch with singer-songwriter Tracy Chapman about a sample of Chapman’s “Baby Can I Hold You.” It got messy: Chapman “repeatedly denied” the clearance request, Funkmaster Flex premiered Minaj’s “Sorry” on Hot 97 and the song got out there, resulting in a lawsuit for copyright infringement. Dreamville’s and Spillage Village’s J.I.D. got frustrated about a producer slacking with his sampling. His tweet was a note to self and a reminder for all producers to always keep track of where your samples come from. Danny Brown tweeted “Never spend 70K on samples for an album that no one buys ’cause you will be in debt lol”, referring to the samples for his intricate Atrocity Exhibition album from 2016. The album debuted at number 77 on the Billboard 200. Lauryn Hill is known for declining sample requests for her music. But she made an exception for Drake’s “Nice For What,” one of the year’s biggest tracks. That sample became a part of a long sampling chain: Lauryn’s “Ex-Factor” heavily samples Wu-Tang Clan’s “Can It All Be So Simple” from 1993, which samples a Gladys Knight & The Pips’ song from 1974, which is a mashup of Barbara Streisand’s “The Way We Were” from 1974 and Jerry Orbach’s “Try to Remember” from 1960. The sample of a BMW I8’s belt alarm had an essential part in XXXTentacion’s hit ”SAD!”, produced by John Cunningham. With over 1.5 billion streams (around 7896 years in total streaming time), BMW I8’s belt alarm is surely the most streamed alarm ever and probably a first. For his “4th Dimension” track with Kid Cudi, Kanye West went all the way back to 1936 for a Christmas song sample: “What Will Santa Claus Say (When He Finds Everybody Swingin’)” by Louis Prima. Definitely one of the oldest and most unexpected samples of the year. Sampling is alive and well–and actually growing in top music. Hip-hop is the world’s biggest genre and shows no signs of slowing down, which of course also impacts the number of samples. The rising popularity of Lo-Fi beats this year also introduced more young producers to sampling, as it’s an overwhelmingly sample-based subgenre. But it’s still fairly underground and a vast majority of the samples in Lo-Fi are not cleared. Another development: more sample-packs and advanced tools mean less need for sampling smaller elements such as a snare. Case in point: there are extremely few drum samples used in Billboard Top 100 songs of 2018. For this piece, we mainly looked at Billboard’s End of Year lists for the top songs and albums. This means it doesn’t include every single song or albums that appeared on the Top 100 throughout the year, only the Top 100 for the full year. We counted direct samples and interpolations from previously released music as samples. However, references of lyrics have not been counted. Worth noting is that since we only examined the biggest hits of the year, it doesn’t necessarily represent the statistics of sampling as a whole. 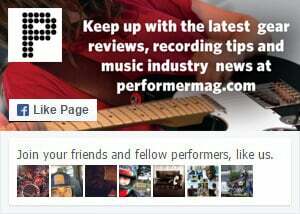 Besides Billboard’s charts, other sources included Chartmetric, ASCAP, Whosampled, DMG Clearances, Sample Spotters and our own user survey.